Home › Wave Culture › Wave Check! The New Trend Sweeping Schools Across America! What is a Wave Check? If you logged on any social media platforms in the past few months chances are that you stumbled across one of the many popular wave check videos where either on or two students walk around the campus looking for students with du-rags so they can wave check them! A wave check is as simple as it sounds. It is the act of telling someone wearing a durag to take it off in order to reveal their hair beneath. The goal is simply to see if the person wearing the durag is wavy. Wave check have also turned into a competition. It is almost like a sports. If you hold a wave check at your school, people involved will be competing to see who has the best waves. Gather a group, each person takes off their du-rag and who ever has the best reaction from the crowd typically wins. It is almost like a freestyle rap battle in which the crowd decides who win however, there may be judges if the wave check is organized. Who started the wave check? It is not clear as to who started the “wave check” trend. As a staple in wave culture I can say with grace that if one person is not credited, then the credit should go to the culture of waving. Waving is a culture and it is a lifestyle. You don’t just “get waves” you become a waver in the act, or process of getting waves. Not everyone understands this and that is clear with recent headlines explaining that some school administrators are taking action against young men for wearing du-rags in school, claiming that du-rags are “reflective of gang culture” which is total nonsense in all honesty. Without going too far away from the topic of, “who started the wave check” We must recognize that Du-rags are a part of Black American culture. We must understand where the negative stigma about the durag comes from. In short, In the late 80’s, early 90’s the larger American society simply placed a negative stigma on the du-rag simply because only Afrikan-American men wore them. Further more, without going into depth about history of how all black Americans had to fight for proper human rights and how America seems to be mass incarcerating black men we can see how easy it is to associate something as simple cloth, that only black men wear, with something as negative as “gang related”. So Who Started The Wave Check? Before the side tangent I mentioned that, it is my humble opinion that we can credit the creation of the “Wave Check” to everyone actively involved in wave culture. This is because wave culture has continued to hold down the durag even when it was considered out of style after the early 2000’s and waver simply wave check other wavers all the time even before it became an internet sensation. Durag Back in Style? It never went out – For Wavers! 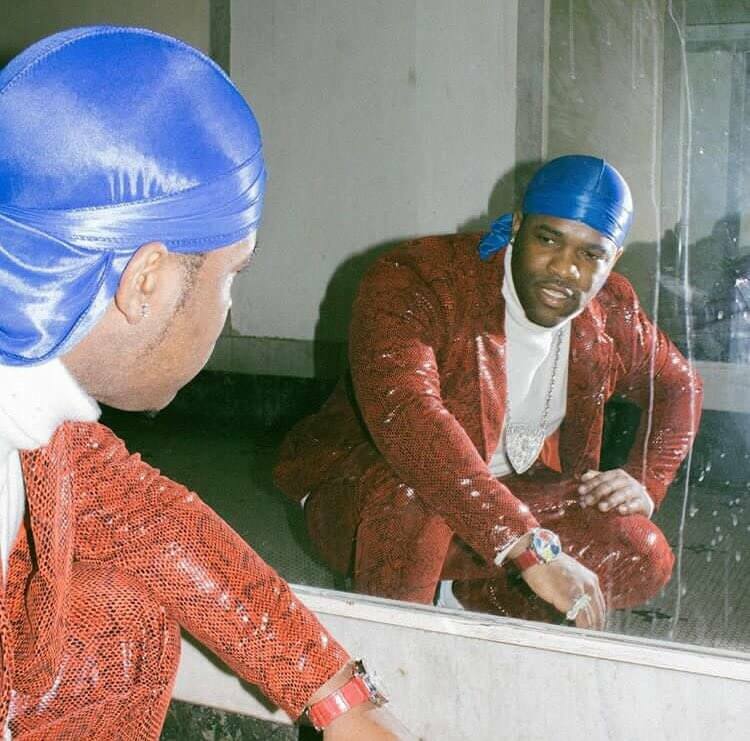 As du-rags made their rise back to main-stream attention, arguably as a result of wave culture holding it down, more people began to wear them including celebrities such as ASAP Ferg and drake who of which both have a wave pattern more and more people began to appreciate the du-rag for its stylish aspects, even people who did not necessarily need to wear the du-rag for the functional purpose that it serves in wave culture. As a result of the hip hop cultural influence that reaches much further than wave culture, large numbers of people began wearing durags, even in public, out of no where. This was a shocker to everyone in wave culture because since the du-rag left main-stream “hip-hop” culture back in earl/mid 2000’s people many people disregarded du-rags like, “do people still wear du-rags?” As a waver, that is a shocking statement given that the du-rag never went out of style and they are is a prime staple in wave culture. Wave Checks started by many wavers coming together with the idea of if you have a du-rag on you should at any moment be ready to showcase your waves. We as wavers do a thing that’s called an un-rag. We wear our du-rags and then we un-rag to showcase the real treat that’s hidden beneath the du-rag. It’s like if you think this velvet du-rag is nice, wait until you see this drip underneath it. Non-waver simply did not understand this and they would wear du-rags all day without ever un-ragging. Soon people would walk around with du-rags all day and when I really think about it, to wave culture they are almost posing as a waver. And thus the wave check was born! Wave Check FOO! You have that nice silky du-rag on but are you swimming? ?